Apoorva Dornadula is currently a Masters in Computer Science student at Stanford University, specializing in Artificial Intelligence. She is a student researcher in the Stanford Vision Lab where she works on image understanding. Her other interests include ML/AI fairness and safety. At her internship at Google this summer (2018), she is working on improving recommendation systems by introducing a novel way to encode temporal context in the model. Apoorva has also contributed to Skynet Today, a website dedicated to de-bunking AI myths and educating the public about current AI topics. 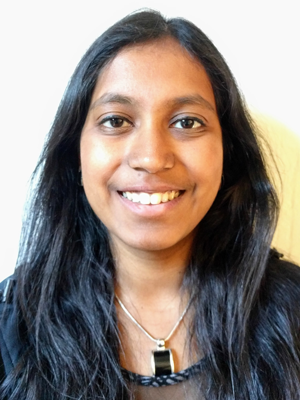 Apoorva conferred her undergraduate degree in Electrical Engineering and Computer Science from UC Berkeley in Spring 2017. At Cal, she focused on the field of computer/network security.